In a Tuesday interview with IRNA, Qassemi said the US move, adopted on the anniversary of Washington’s withdrawal from the Iran nuclear deal, reveals the anti-people nature of the American officials’ approach towards Iranians and counters their hollow and ridiculous claims that the sanctions don’t target Iranians and serve their interests. The spokesman said usually, even in difficult and emergency conditions, not all banking systems are blocked and the dispatch of humanitarian aid is possible through bodies such as the International Committee of the Red Cross. “However, in an inhumane and brutal move, the US has decided to block all channels for delivering aid to the flood-hit people of Iran,” he noted. 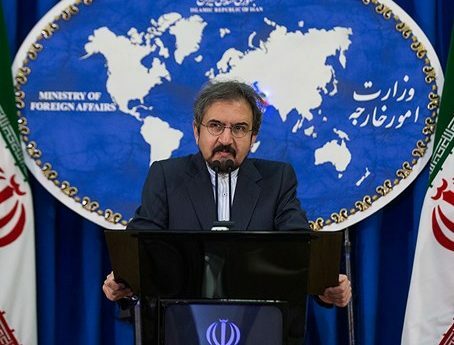 Qassemi also said aid bodies like the Red Cross Committee and the Red Crescent Society have announced over the past days that they are incapable of dispatching their aid to Iran’s Red Crescent. “It seems that the US is seeking to block humanitarian aid to the flood-hit Iranians,” he underlined. The spokesman also said the world community and international aid bodies should stand against the brutal move of the US. He then referred to the huge damages inflicted on the flood-hit people in various provinces and added domestic aid bodies as well as Iranian people are seeking to alleviate the inflicted damages but no tangible foreign aid has been received yet as there is no channel to dispatch them. Qassemi underlined that it is up to the international bodies to adopt an immediate measure in this regard particularly amid the current emergency situation in which there are some tangible shortcoming in terms of rescue helicopters and technical means. He said the US should be held accountable for the consequences of its move to block aid to the flood-hit areas in Iran. He also noted that the brave and selfless Iranians will survive such incidents and their damages through their philanthropic spirit and by establishing cooperation among themselves and with the government. Qassemi underlined that the world and time will judge on those who have misused people’s lives as a political leverage to achieve their unholy goals. Weeks of heavy rainfall and flooding have caused devastation in many provinces of Iran over the past two weeks. The situation is critical in the west central province of Lorestan, which received record precipitation. Conditions are similar in several other provinces, including Khuzestan, Kermanshah, and Ilam. Officials are on high alert as more floods are predicted in coming days, largely because of dams’ overflowing and rivers bursting. Authorities in Khuzestan have ordered the evacuation of seventy villages that are close to the Dez and Kharkheh Rivers. The floods in Iran have once again resurfaced the discussions on the US brutal sanctions on the Islamic Republic. The Iranian foreign minister says Washington’s anti-Iran sanctions are hampering delivery of much-needed relief equipment to flood-hit areas in Iran. In a tweet, Mohammad Javad Zarif accused the United States of flouting the UN Security Council Resolution 2231. Zarif condemned the US blocking of the Iranian Red Crescent Society’s aid efforts as financial terrorism. The United Nations Office for the Coordination of Humanitarian Affairs has also said that challenges caused by Washington’s unilateral sanctions will affect its relief support to Iran. Meanwhile, Iran’s top diplomat reacted to the latest remarks by Secretary of State Mike Pompeo who claimed the US is ready to assist delivery of aid to Iranians hit by floods. He labelled the remarks as “Fake News”, saying as the ICRC president in the UN Security Council said neutral and impartial humanitarian action is hindered by elaborate sanctions regimes. Meanwhile, Iran’s Ambassador to the UK, Hamid Baeidinejad, accused the US’ Pompeo of hypocrisy. “The US official in his interference attributes the current floods in Iran to mismanagement in urban planning and in emergency preparedness. This is while his own government is criticized for the continuing devastation caused by floods across the US Midwest,” he tweeted.